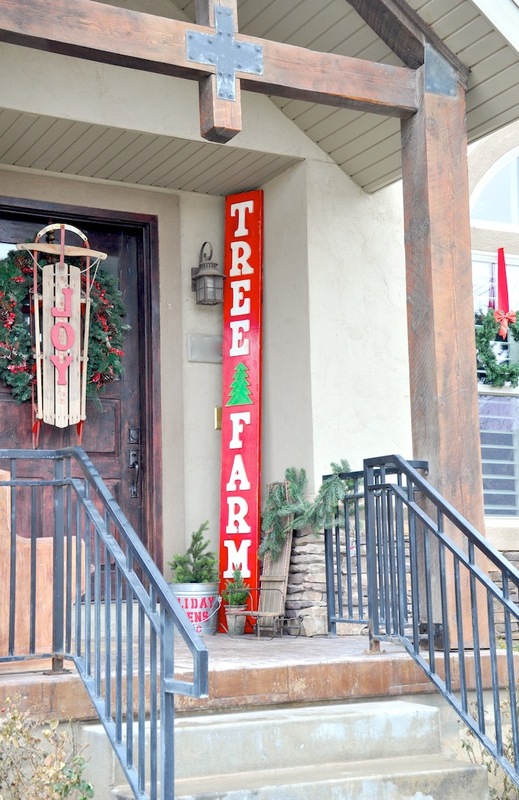 I’m so excited to share my latest DIY Christmas craft project with you today. 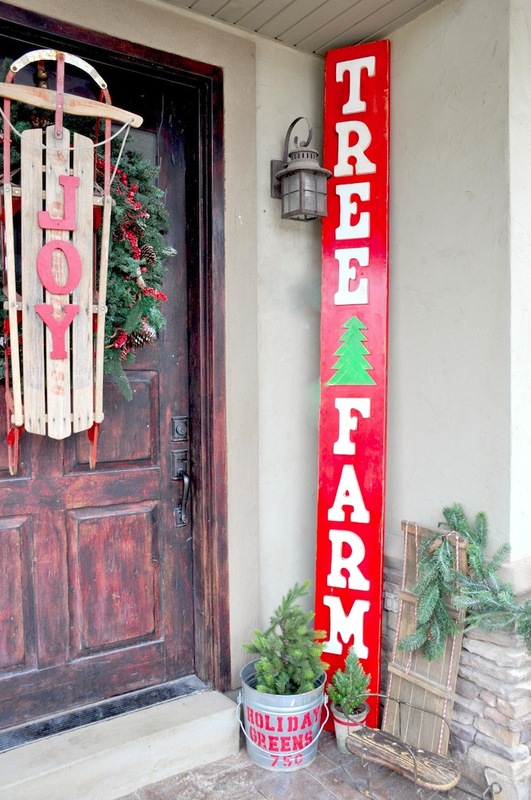 Check out the Tree Farm holiday sign I made for my front porch! 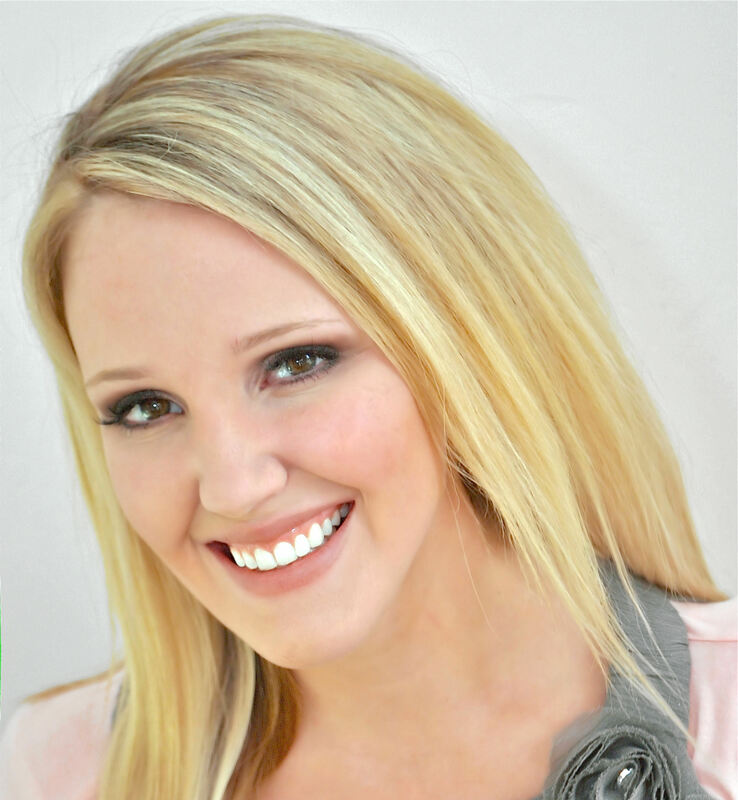 I’m partnering with Krazy Glue this month to show you just what their amazing products can do! They definitely don’t call it KRAZY glue for nothing! 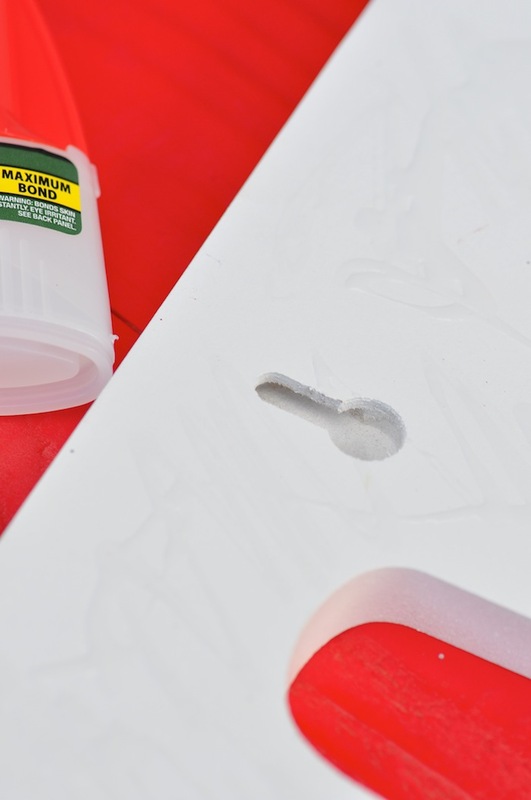 Did you know that a single drop of Krazy Glue can hold up to 2,000 pounds?! AND, it only takes 3o seconds to dry! So, with that being said, guess what…. 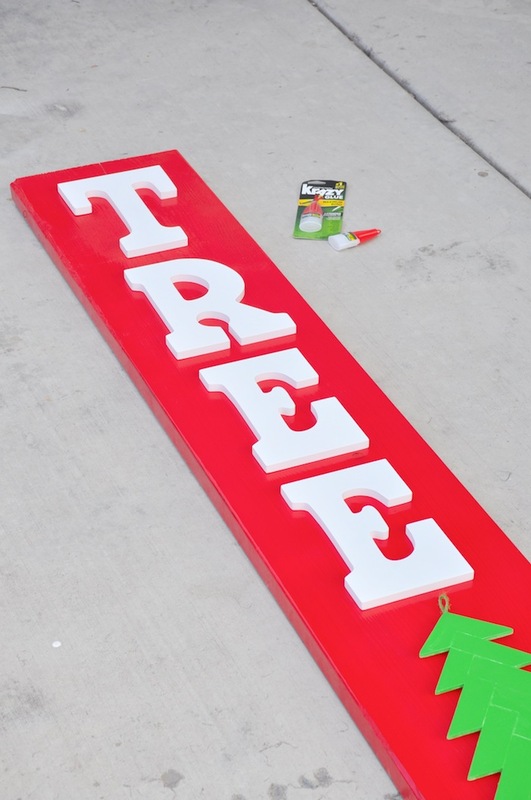 I made this sign with just two main products: Wood and Krazy Glue! Yes, that’s it (well, and a little bit of paint). I’m telling you, Krazy Glue gives you THE fastest bond needed to allow you to create krazy big things! 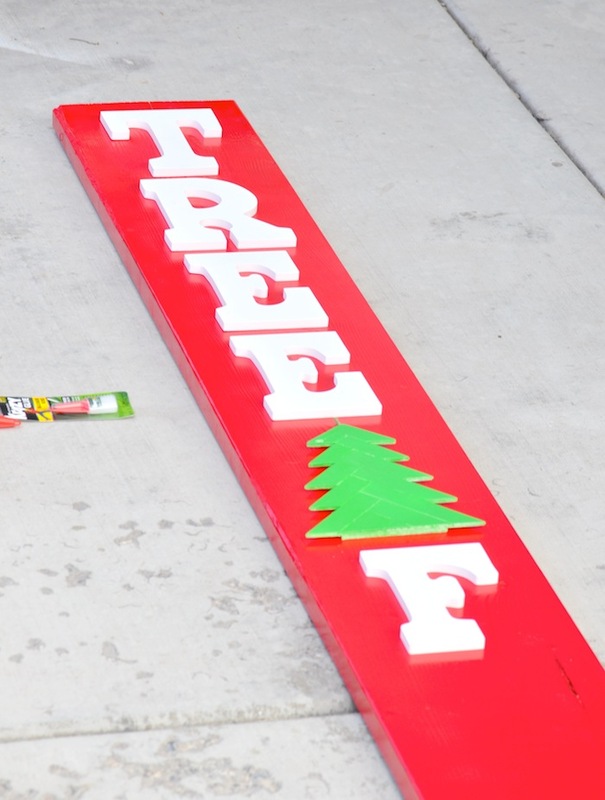 Step 1- Paint your board and letters in your desired color. I chose red and white. 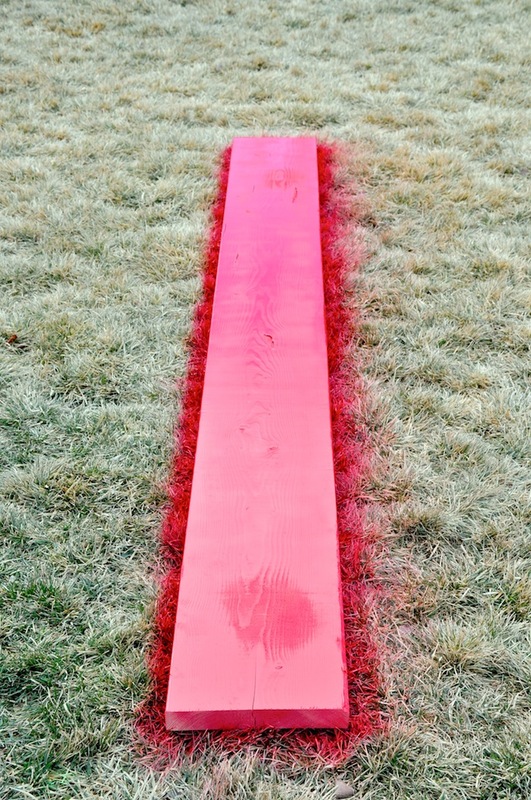 Step 2- Place the letters onto your board in the position that you want them, measuring it all out. 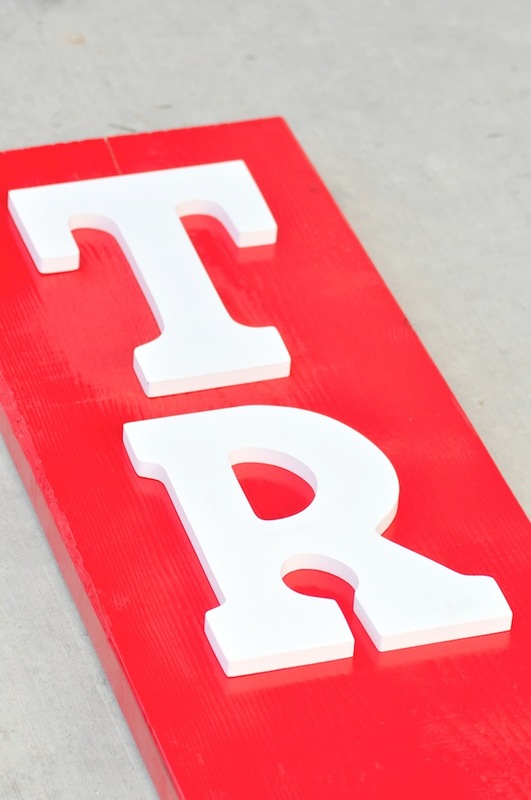 Step 3- Glue your letters onto the board starting at the top, one by one. 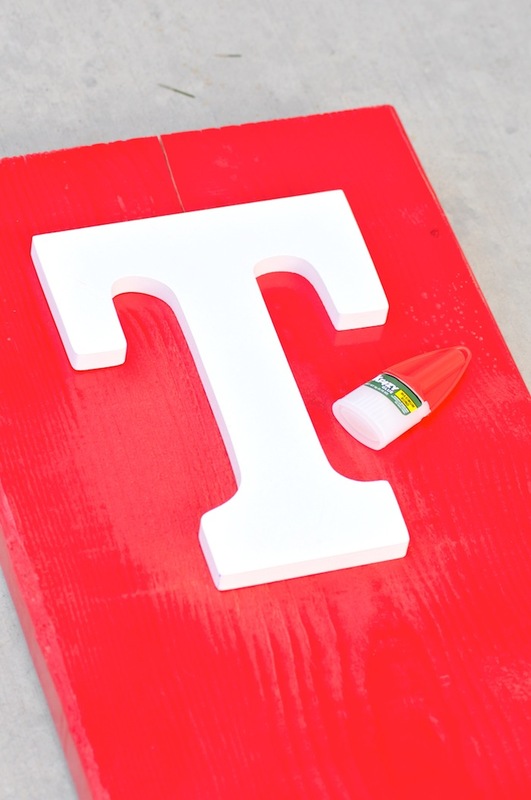 Apply a generous amount of Krazy Glue Maximum Bond to the backside of your wooden letter, then place the letter on the board and firmly hold in place for 3o seconds. Step 4- Repeat the same process with each additional letter. 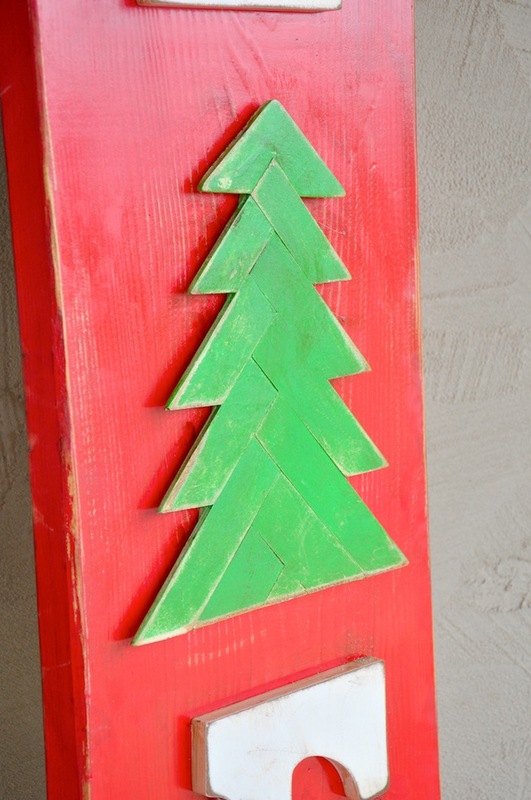 I also added a wooden Christmas tree to my board. 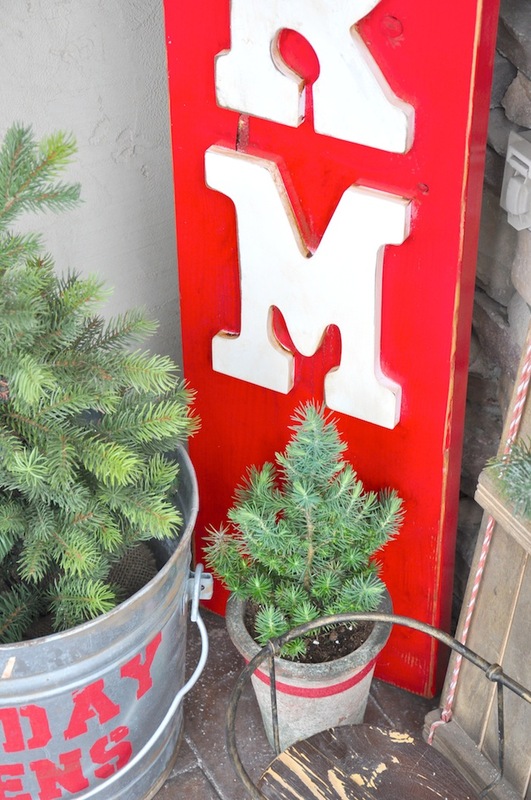 Step 5- To add a more rustic look, wipe some wood stain onto the edges of the board and wooden letters with a rag. 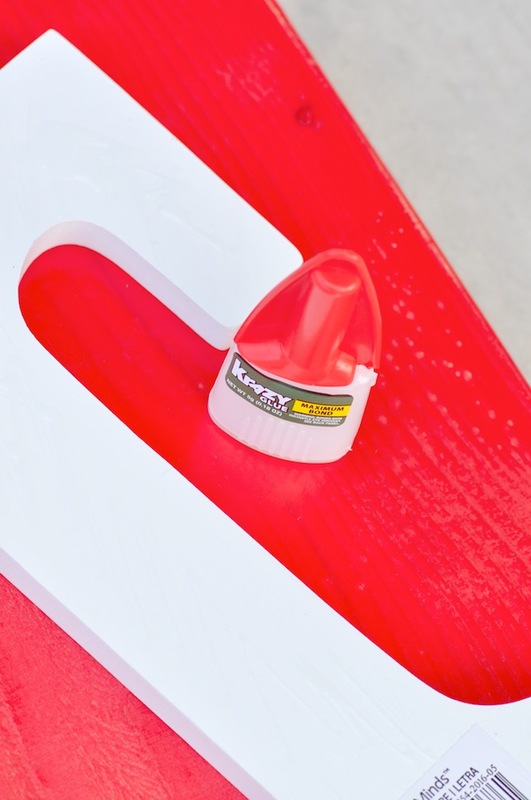 Thank you Krazy Glue for sponsoring this post. All opinions are my own.